TULSA, Okla. — An appeals court has ruled that the rights of an Oklahoma police captain that was punished in 2010 for refusing to attend an Islamic service were not violated. As previously reported, three years ago, Captain Paul Fields was ordered to attend “Law Enforcement Appreciation Day,” which was hosted by the Islamic Society of Tulsa at a local mosque. The event, held on an Islamic holy day, was to include a tour of the mosque, an Islamic prayer service, lectures on the Islamic faith and meetings with local Muslim leaders. Because Fields is a Christian, he felt uncomfortable with attending the event, which was not an official police function. He reportedly met with his superiors to express his concerns and outline why he believed that it was unlawful for the Tulsa Police Department to force him to attend. Fields was placed under official investigation for refusing to attend the event. When Fields did not show up at the mosque as per the order, he was forthrightly punished. 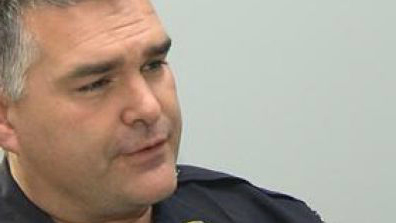 Fields was demoted and reassigned to a different department, suspended for two weeks without pay and prohibited from being promoted for one year. The Tulsa Police Department issued a statement as a result of outrage from supporters of the captain. However, Fields believed that he was still being required to partake in ways that violated his convictions, whether it included joining in the prayers and sermons or not. He subsequently filed a federal civil rights lawsuit against the City of Tulsa, Chief Charles Jordan and Deputy Chief Alan Webster. Last December, District Court Judge Gregory Frizzell, appointed by George W. Bush, threw out Fields’ case, stating that Jordan and Webster had done no wrong. On Thursday, the 10th Circuit Court of Appeals sided with Frizzell, stating that Fields’ religious rights were not violated. Attorney Robert Muise of the American Freedom Law Center, which has been representing Fields, has vowed to appeal the decision. He also noted that Fields had informed his superiors that he did not wish to send any subordinates to the event who shared his Christian faith, and stated that he could not attend himself.